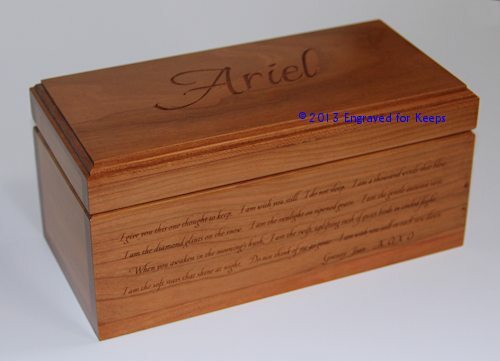 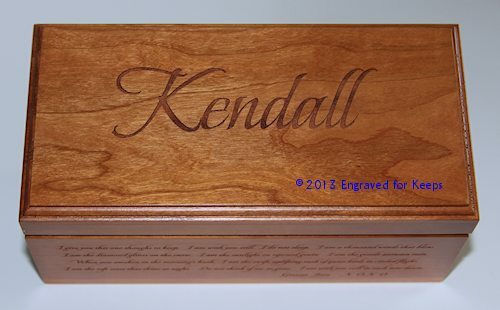 Keep your cherished items and memories in one of our beautiful Made-in-the-USA Keepsake Boxes. 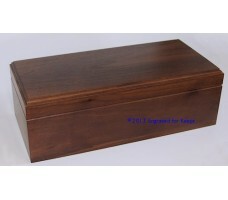 We offer these timeless felt-lined boxes in a variety of sizes in both Cherry and Dark Walnut wood. 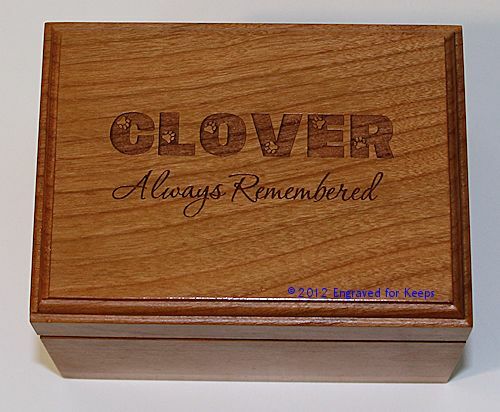 These versatile boxes can be used as wedding gifts, baby keepsake, graduation gift, ring boxes, pet memorials, corporate gifts and club awards. 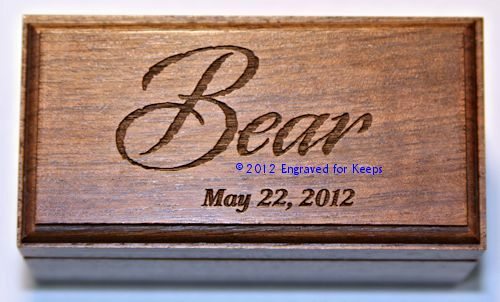 Personalize a portion of the top center of your box with a name or name & dates. 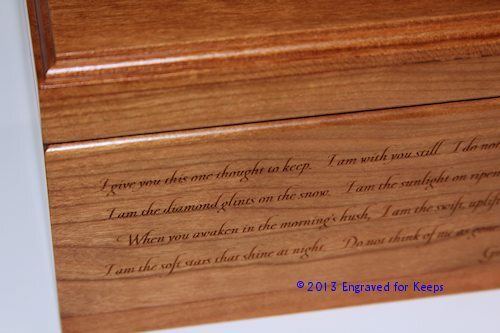 Engrave the whole lid of your box with a name & dates and a poem or words of inspiration. 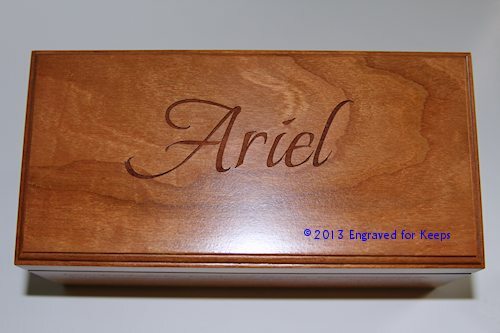 For something unique, we can engrave the text of your choice along the front of the box. 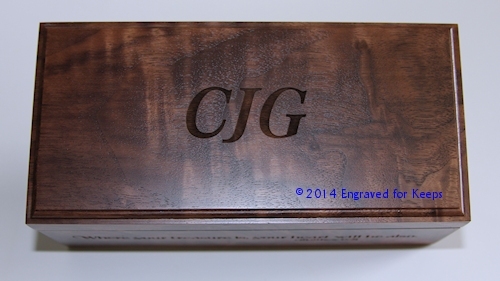 Last, but not least, for a true surprise, we can engrave on the bottom of the box!